The Lawyerist Podcast is a show about lawyering and law practice hosted by Sam Glover and Aaron Street of Lawyerist.com. Every week Sam and Aaron have conversations with successful lawyers and interesting people. Rachel Rodgers talks about how she started an alternative law practice and what it means to build a business focused on serving women and women of color. John Israel talks about how investing time in showing gratitude to people can wield a long term return in both personal and business relationships. 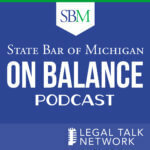 Stephen Dillard talks about how judges have mostly been inaccessible to the public and how quite a few judges are now going against the grain and taking residence on Twitter. Ashley Cox talks about what you need to do to prepare to hire, how to find the best applicants for your firm, and how to set up a new employee or independent contractor for success. Stephanie Everett talks about some of the questions small firm lawyers should ask themselves. 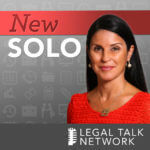 Natalie Worsfold talks about her law firm’s approach to law practice and why more firms aren't following suit. Jennifer Longtin talks about why implementing low cost options for clients doesn’t mean you will be less profitable, and how to have reasonable conversations about money with clients. Mike Michalowicz talks about main concepts from a few of his books, including the idea of “entrepreneurial poverty” and why most average companies lose. Sherry Walling talks about the typical sources of stress and unhappiness for an entrepreneur, and how to be objective about these levels. Will Hornsby talks about whether or not ethics rules are standing in the way of innovation. 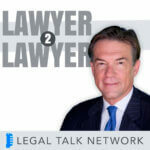 Greg Crabtree talks about the four keys to profitable law firm. Mary Juetten talks about the end of the year finances. Michel Falcon talks about what a people-first culture looks like, how to recognize why customers do business with you and how to resolve customer complaints. Erik Pelton talks about his trademark law practice, in-depth conversations about his client onboarding and marketing systems, and communication philosophy. Annie Duke talks about decision making, how poker is similar to the decision-making process in business, and some of the decision-making traps we fall into. Shannon Montgomery talks about the differences between building a business around a brand versus building a brand around your business. Nic Kusmich talks about how to advertise on Facebook. Nathana Sharma talks about what blockchain is, what it does, why it is so interesting, and what it has to do with the legal industry. Jim Sheils talks about why family sometimes falls to the wayside as a working professional, and how to balance success at work with success at home. Stephanie Everett talks about what a mastermind group is and some of the benefits of both joining and creating one. Jordan Harbinger talks about how he went from being a pick-up artist to being a thought leader on social dynamics. Jordan Furlong talks about the difference between owning a law firm and working for one and how knowing the difference can help law firms function. Tom Martin talks about the chatbot fad and how chatbots are being implemented, and not just as gimmicks. Guest Ashley Cox on what onboarding new employees means, why it matters, and what it looks like in a business. Jeff Cohen talks about some of the successes, road bumps, and stories from his journey as a child actor to owning a successful entertainment law practice. Nicole Abboud discusses the benefits of tailoring your firm to meet the demands of a growing millennial clientele. Gabriel Cheong talks about billing flat fees in unpredictable cases, like contested divorces. Merlin Mann discusses the relationship between personal productivity and organizational productivity and how they relate to work-life balance. David Sparks shares ten ways lawyers can get more from their iPhones. Jordan Couch explains what his workflow used to look like without Trello, what it looks like now, and how he balances his workflow using Trello and other tools. In this episode of the Lawyerist podcast, Brooke Moore gives us a snapshot of her client-centric, virtual law firm. Natalie Kelly discusses some of the roadblocks that are stopping lawyers from addressing challenges in their firms.